Forty-two years after founding one of the nation’s most influential evangelical megachurches, the Rev. Bill Hybels told his congregation Tuesday night that he would step down from the helm of Willow Creek Community Church six months ahead of schedule. Vanpastorman; To God be all glory & praises, their I go forth but by the mere mercies of God Alone, thank You sweet Jesus amen! A good video that explains & exposes the truth & light on the likes of Bill Hybles ministry & Rick Warren. As well also, as they are 2 peas in the same pod together. Thanks for the video. I watched the whole thing this afternoon. 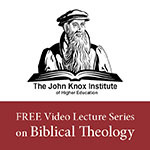 It is so easy to be swept away by worldly thinking as this video shows. I will continue to pastor small churches because I will never stop preaching the Gospel. What happens when the American evangelical church continues to back razzmatazz church leaders who have nothing to do with salvation found in Christ. Our salt becomes tasteless. The other day, after listening to Johnny Mac, Chuck Swindoll starts his show, and proceeds to talk about how he thinks there were many Assassins involved in the murder of JFK. Seriously, Chuck Swindoll is all about grace but not a lot about holiness. Can't have grace without holiness. The church focuses too much on grace but never talks about why we need that grace.Just like how the church always talks about the Gospel (at least their version), but never talks about the bad news that points a sinner to that Gospel. The more I read of the allegations against Bill Hybels the more concerned I become. It does appear the church elders were somewhat complicit in the continuance of the abuse. There is also the concern that he isn't showing contrition or repentance for his behavior. I do not always agree with Jim Lincoln, but he has picked up some good sources on this matter. Between them, Bill Hybels of Willow Creek and Rock Warren of Saddleback have caused more chaos to the professing evangelical church than most other people, including even the prosperity gospellers. Through them we have seen other movements like the Emerging Church, the mystical Contemplative Prayer, and even the so called "New Apostolic Reformation", which if course is not new, apostolic or a reformation, come out after them! Now no doubt, the former Pastor Bill Hybells can now, no doubt, spend more time supporting his wife Lynne, in her anti-Israel and pro-Christian Palestinian Replacement Theology ministry and teaching for which she has become famous.
" It was a marketing degree, not an M. Div., that Bill Hybels had when he launched the tiny fellowship that would one day be Willow Creek Community Church. It’s not that Hybels is a theological lightweight, [but he’s “brilliantly relevant”]—and the relevance comes not from giftedness or theological discernment, but from thoughtfully studying his congregation. As any good marketer would, Hybels deliberately surveys his people with questionnaires in order to determine what they worry about, what their needs are, what’s important to them. . . . Then he schedules what subjects he will preach on in the coming year, and circulates the schedule to those on his team responsible for music and drama in the services...."
--[URL=http://tinyurl.com/y8mge3s8]]]http://tinyurl.com/y8mge3s8 (The Flaws of a Fad-Driven Church, Part 1)[/URL]. What is a cult of personality? One has to wonder if the pastor and his cohorts the elders are living up to the following verses! 6 namely, if any man be above reproach, the husband of one wife, having children who believe, not accused of dissipation or rebellion.